This year I'm going to be making another video with Terry Abraham, to be called Lake District Backpacking with Chris Townsend. We'll be filming it later in the year and it should be released in September. For the film I'll be hillwalking and wild camping in the Lake District and climbing the four three thousand foot summits on a week long trip. 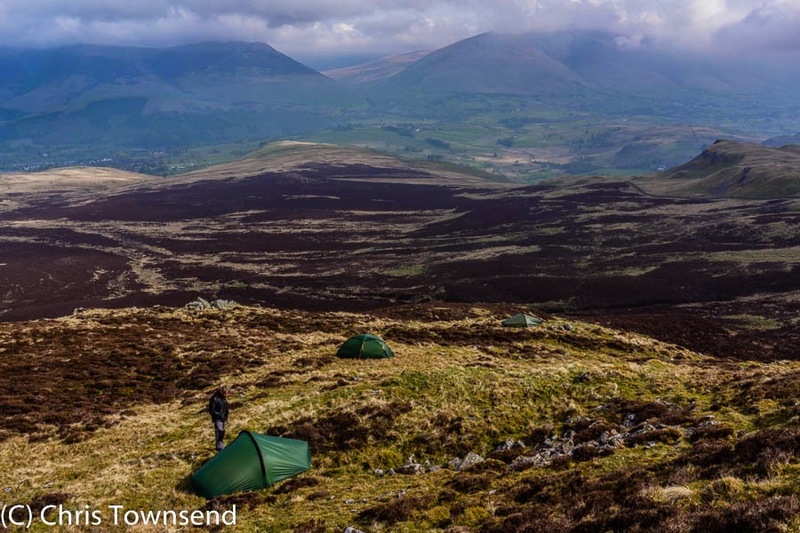 As well as showing the beauty of the area and the joys of wild camping I'll also be demonstrating techniques and skills for enjoying the hills safely and comfortably. You can read more about it on Terry's blog here. I thoroughly enjoyed 'The Cairngorms in Winter' and I'm sure the Lake District film will be equally good, if very different. Both areas were early influences one me (and my wife) as far back as 1968/69 and have remained favourite places. So many films of this nature are ruined by intrusive commentary whereas yours was just right, letting the Cairngorms speak for themselves for the most part. Thanks.